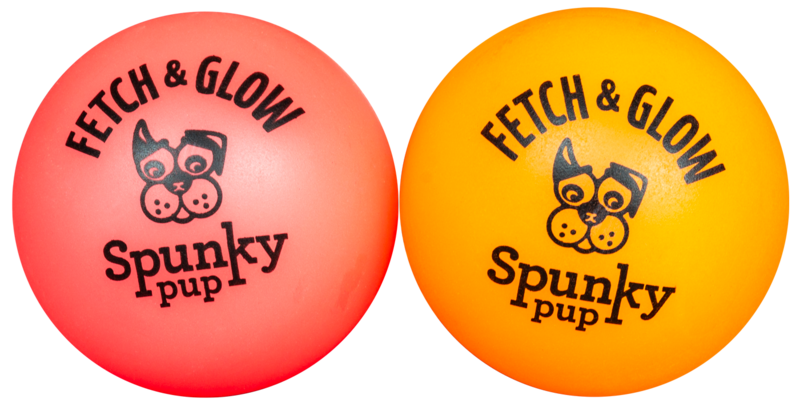 Now you and your best friend can keep playtime going long after sundown. 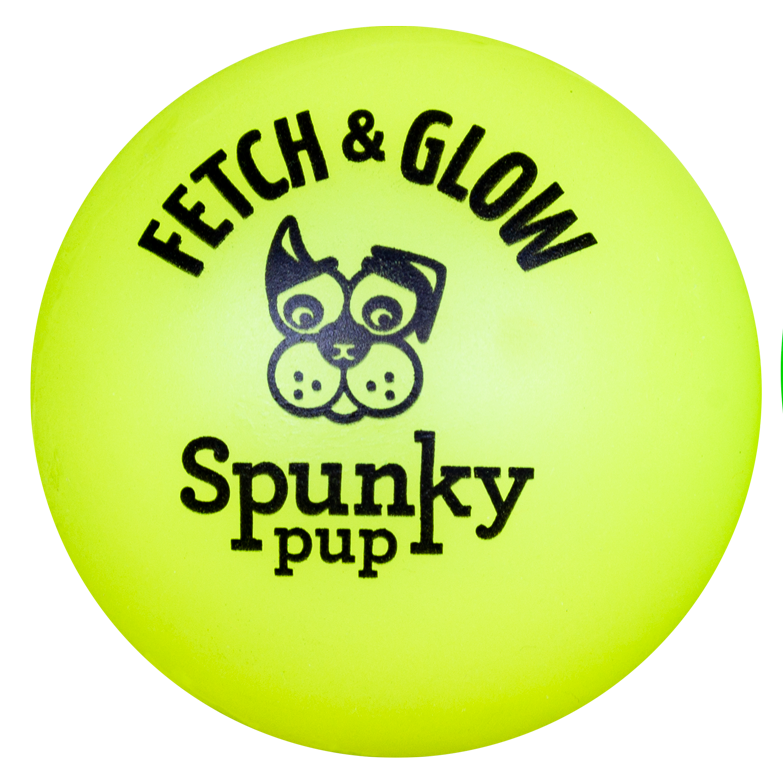 Just expose the ball to light and watch it glow in the dark. 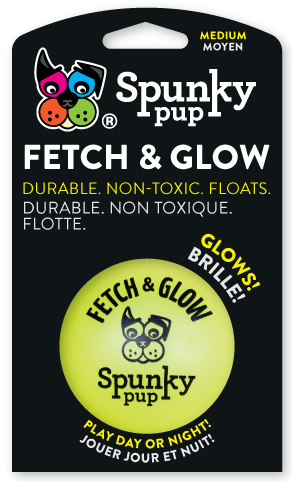 This soft, durable, non-toxic toy is great for indoor or outdoor play. 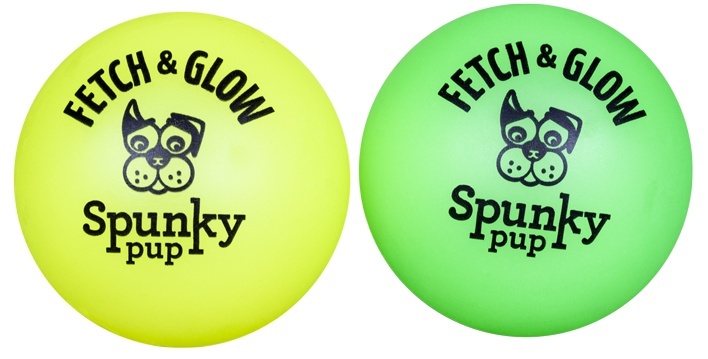 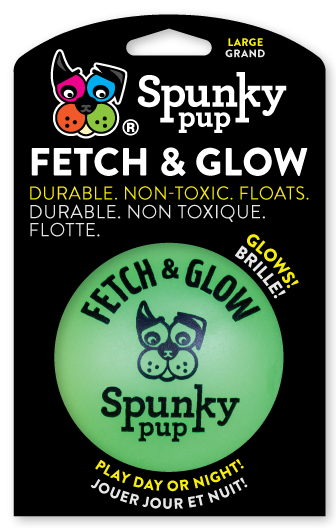 Say goodbye to drool-encrusted tennis balls – Fetch & Glow by Spunky Pup is easy to clean, waterproof and even floats. 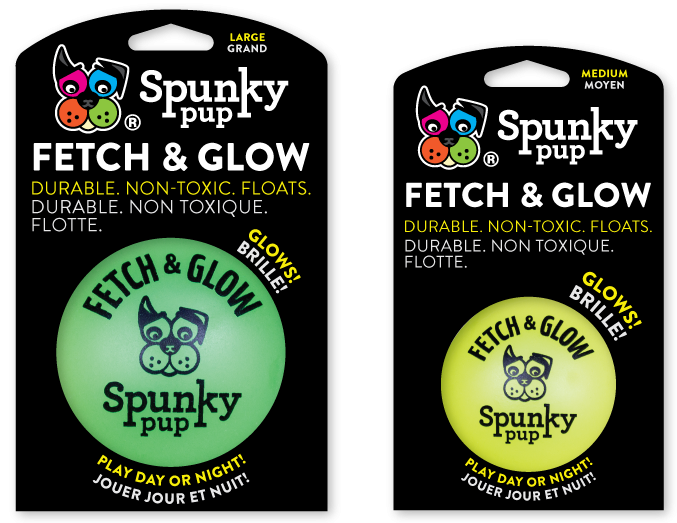 So, wherever the fun takes you — to the dog park, the beach, or just around the house — Fetch & Glow will keep your dog running, jumping and fetching … Day or Night! 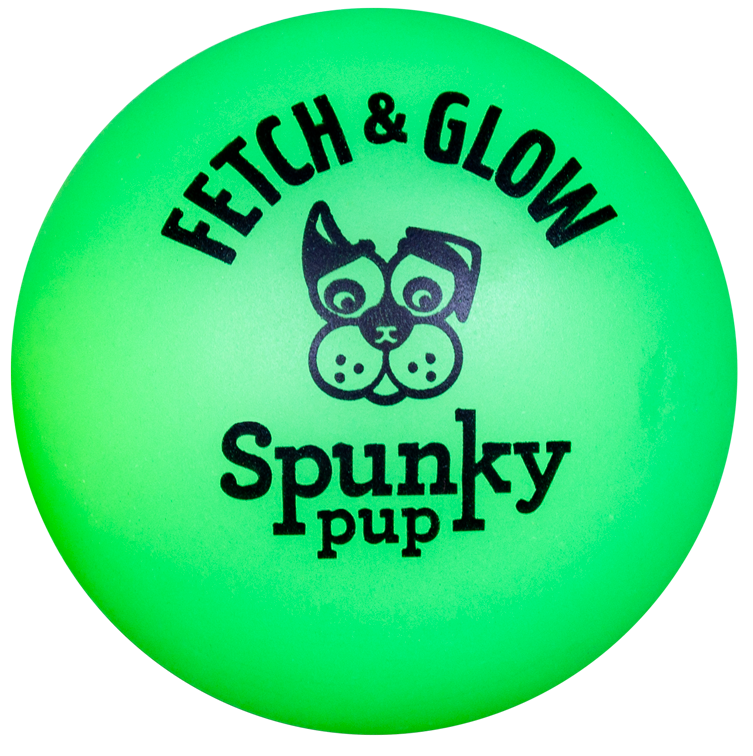 Available in fun assorted neon colors. 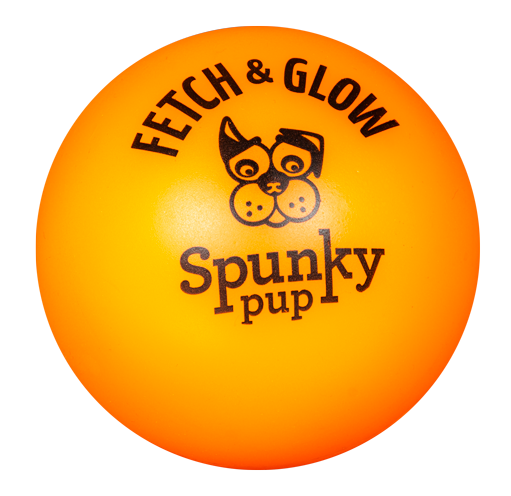 Sized for larger dogs; also see our Fetch & Glow for smaller dogs and Flash & Glow, The Flashing Dog Ball that Glows in the Dark. 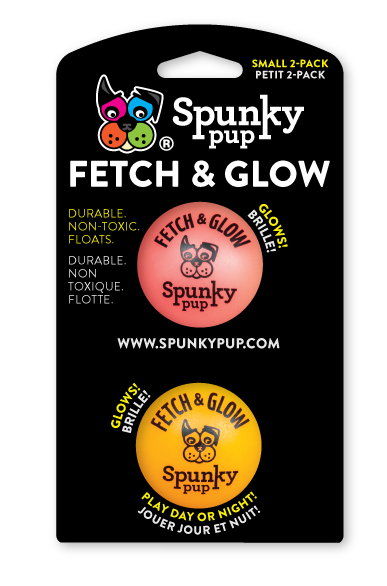 ©2019 Spunky Pup, A Division of Lafayette Bay Products LLC | Website by Lund Solutions.